If you are interested in learning about a local low energy home (in Derby), this could be the perfect opportunity. Homeowner, Kate, is offering some free tutorials about her experience of transforming her home from a very ordinary brick house into a "passive house" that needs almost no heating. Like me, you have probably been cold called recently by companies offering you "free" stuff under the Green Deal. Being quite well up on the ins and outs of the Green Deal, I do like to ask a few questions for my own entertainment and suss out whether the company concerned is prepared to be honest and give good info about the Green Deal, or whether they are being deliberately misleading. 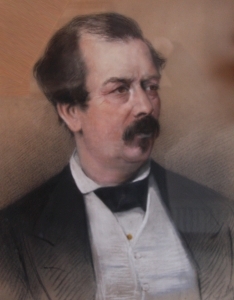 The Blue Plaque Scheme for the Beeston area took another step forward when, despite the cold weather, there was a good attendance to see the unveiling of the 18th plaque - this time it was to commemorate the life of William Frederick Wallett, the Victorian entertainer. The Blue Plaque Scheme has now been running in Beeston and other parts of the southern Browtowe District for over two years. 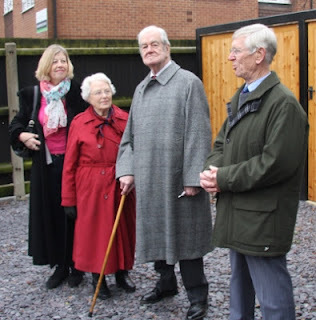 Since the scheme got under way in August 2010 - when the first plaque to Thomas Barton, the bus pioneer, was unveiled - the group has already delivered sixteen plaques, with two more expected to be in place before this year is up. Last Wednesday evening we celebrated the 40th Anniversary of the formation of Beeston & District Local History Society and it was a very happy and enjoyable occasion. 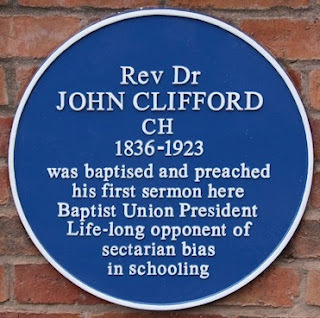 Tuesday, 11th October 2011 - we were to learn - was a memorable day for one of Beeston's worthies from the past. 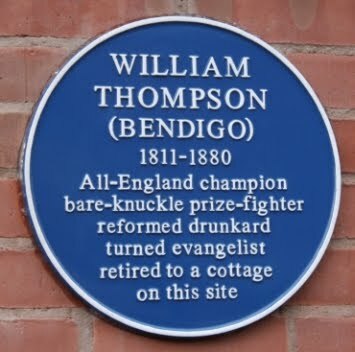 As near as could be seen, it was the 200th anniversary of the birth of the Victorian bare-knuckle boxing legend, William Thompson, better known as 'Bendigo'. Unfortunately, I was away when the plaque was unveiled to mark the factory in Beeston where Thomas Humber made bicycles and where Humber motorcycles and eventually cars were made. By all accounts it was an excellent occasion so I was sorry to miss it. All the more reason to make sure not to miss the latest unveiling.